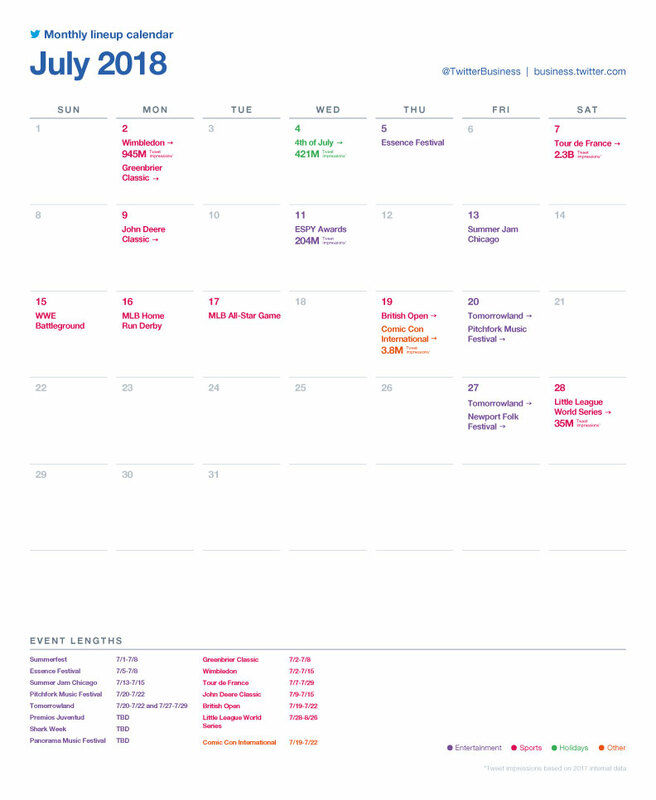 It's a little later than usual, but Twitter has released the latest version of its monthly major events calendar, covering all the key dates to be aware of in July. So what are the key dates to be aware of this month? There's a heap of big sports events to tap into, including Wimbledon (now underway), the Tour de France and the MLB All-Star Game. There's also a range of summer festivals to consider, and Comic Con may provide opportunity for some businesses. As noted, Twitter's monthly calendars can be a great help in keeping you up to date with the latest big themes worth tapping into with your content. You can download the full calendar at this link.